I love you my dear reader here at Immensely Social. I truly do. I have another business. I do content marketing writing for clients. This means my own audience and brand sometimes gets neglected. I’m sorry. But, apologies alone are not enough. How do I remedy this situation? I need great resources that help me engage and create great content to give back to the online world while also saving me time to keep my clients happy and myself and my family too. My most neglected aspect of the Immensely Social family has to be email marketing and subscriber love. It was already neglected and then…Hello GDPR scare! I was trying to figure out how to grow and re-engage my list and offer some fun helpful content at the same time. That’s when Sarah at Interact reached out to me to save the day! 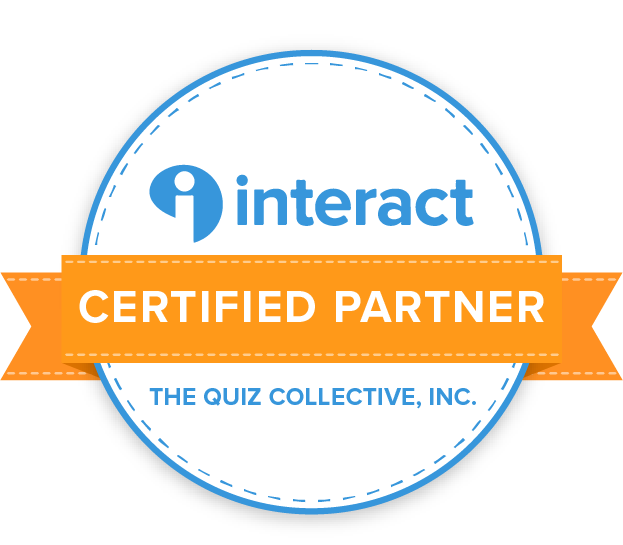 Interact was kind enough to sponsor this post by allowing me to dive into their user-friendly platform that helps you create fun and engaging quizzes for your email list. After all, who doesn’t love a great BuzzFeed type quiz?!!! I mean how many times I have been on a research mission online only to get distracted by BuzzFeed trying to figure out what type of Pizza I am? Let’s not even count. We hear it over and over again, “The money is in the list.” Email is more intimate than a blog post. You are going into someone else’s space rather than them coming into yours. Someone letting you into their overflowing email inbox is an honor that should not be taken lightly. So growing your list with something so fun and engaging and easy to implement as Interactive Quizzes, I had to check it out. The PDF lead magnet may not be completely dead, but quizzes are definitely more enticing and fun, don’t ya think! Need proof that quizzes work? I was recently watching the ASK Method workshop with Ryan Levesque and he was talking about the virality of quizzes and using them with his own business, as well as examples of other successful companies. How about The New York Times! The New York Times put out a Regional Dialect quiz. Ryan said that quiz has over 116,000 people per month taking it. Wow! I took the quiz myself and Greensboro came up which is very close to my home city in North Carolina. Fascinating. And yes, I say y’all. Even Dr. Oz is on board with the quiz phenomenon. Anyone take the “Real Age” test? So, what was my experience like creating my first quiz with Interact? Honesty session- I skipped over the directions and the tutorial videos and just dove right in. Anyone else the “dive right in no directions needed kind of person?” The platform is easy to use but there is help whenever you need it. There are templates that you can start with or you can start from scratch. Just go through the prompts. I changed all the images on the results pages too. Unsplash is a great free resource if you need stock images. Interact will also walk you through adding the quiz to your website or you can get a link to share on social media. If you are using WordPress, they even have a plugin that makes the integration super easy. I added the announcement bar and you may have also seen the pop up while reading this post. Want to take the quiz and see it in action? Here is the embed option.